Celebrate as much as you can stand tonight, but not too much, because you are forty now. Hope your 40’s to be as awesome as your 20’s! Rest In Peace 30’s and goodbye! Happy Birthday! Sorry for telling you, but you are closer to a half century of living, more than ever. Wishing you a very warm welcome to the middle ages. Happy Birthday! Today, you complete the golden phase of your young life and enter the league of the elderly. Wishing you a wonderful life ahead. Forty today and you look younger than ever before. You are exactly like wine. The more you yield to maturity the better you taste. Hope you always be so enthusiastic and joyful as you are in your 40th Birthday. 40’s is the new 20’s. The only difference is the level of the experience. Happy Birthday to a person that is forty and still kicking! May every unfulfilled dream of yours during the past four decades come true. You are halfway to 80. Way to go! You still look like a 25 year old, even in your 40’s. 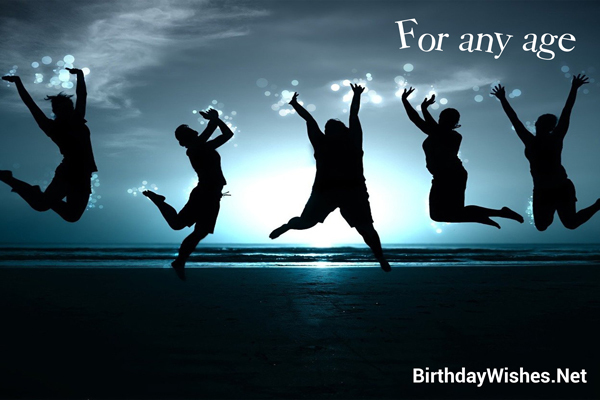 Check out this amazing collection of 40th birthday wishes, the 40th birthday wishes on this page incorporate the messages from these article, but feel free to add your own.